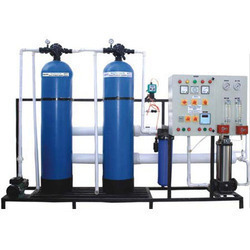 We are well-acclaimed as one of the noteworthy manufacturers and suppliers of a qualitative range of Water Filtration Plant. Sourced from our trusted vendors, supreme-grade stainless steel, and other quality tested basic materials are used to design these water treatment plants. Available in different designs, models and specifications our plants have broad application areas in food beverage industry for providing distilled water.